Oxygen Software introduces a new license type to Oxygen Forensic Suite 2013 v.5.0, allowing organizations to save on licenses by sharing access to Oxygen Forensic Suite over the network. With the new Network License, Oxygen charges only for the number of licenses that are about to be used simultaneously – and not for the number of PCs the forensic suite gets installed to. The new license type will present greater savings to small, medium-sized and large organizations. The new license type requires only a single USB dongle that can be shared among the multiple computers over the local network. As opposed to previously available license types that charge license fees per installation, the Network license presents companies an opportunity of greater savings by only charging for the number of instances that are used simultaneously – regardless of the number of PCs that get Oxygen Forensic Suite installed. Besides the Network license includes all add-ons: Android Rooting and Chinese Phones Support. 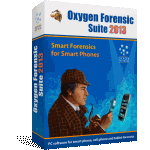 New to Oxygen Forensic Suite 2013 v.5.0, the innovative Network license is being introduced by popular demand from Oxygen’s large and medium-sized customers, allowing them to share a single USB key over the local network. Organizations of all sizes will quickly realize the savings. Large companies will benefit the most, but small and medium-sized organizations will also have an opportunity to pay significantly less. Additional benefits include the use of a single USB dongle shared over the local network, as well as the increased convenience of having Oxygen Forensic Suite 2013 with Android Rooting and Chinese Phones Support add-ons installed on as many workstations as needed without having to pay for the extra installations. The main difference between the old types of licenses and the new Network license is the option to pay for the number of instances of Oxygen Forensic Suite that are used at the same time – and not for the number of installations that can be used or not.